This website, www.matt-fox-photography.com, collects private user data using the following form: www.matt-fox-photography.com/contact which generates emails sent to: matt@matt-fox-photography.com. The data from these forms is emailed to the address listed above and also stored on the website server, in most cases dating back to when each form was created. The website server is accessible by the website administrators for www.matt-fox-photography.com at Squarespace (https://www.squarespace.com/) Squarespace never access or share this data other than by request from Matt Fox. By completing this contact form you agree to Matt Fox contacting you about Matt Fox Photography’s photography services. You will not be added to any mailing lists and will only be contacted by Matt Fox personally in relation to your enquiry. Your personal details will not be used for any marketing purposes nor will they be passed onto any third parties. They will only be stored in the email generated by this contact form which will be filed in the email account for Matt Fox Photography which is hosted by Squarespace and 17hats and which can only be accessed by Matt Fox. If you wish to request for any email(s) containing your personal information to be deleted, please email matt@matt-fox-photography.com. Addresses are only requested for sending clients' USB presentation box. Matt Fox Photography does not engage in email marketing specific to our services. Your personal details will not be used for any such marketing purposes nor will they be passed onto any third parties. To visit a Matt Fox Photography client gallery you will be required to enter personal data (namely your email address) and a password. Your personal data (email address) will be stored within ShootProof’s system. Only Matt Fox will have access to your personal data (email address) stored on Shoot Proof’s system on behalf of Matt Fox Photography. It will only be used as detailed above, will not be used for any other marketing purposes and will not be passed onto any third parties. ShootProof’s technical support team will have the means to access to your personal data (email address) but will never access or share this data other than by request from Matt Fox. Anyone photographed by Matt Fox Photography, whether a client or wedding guest, and whether past or current may withdraw consent for a photograph in which they appear to be displayed. The process for this is to email Matt Fox Photography at matt@matt-fox-photography.com specifying the photo in question. With that request, Matt Fox Photography will then remove the photo from online and printed display wheresoever it appears. 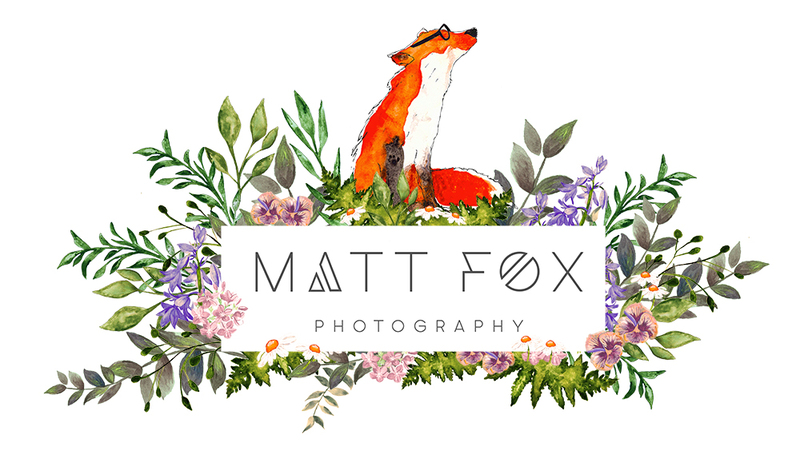 By clicking 'submit' on your client form, you hereby are consenting to Mat Fox Photography contacting your selected e-mail address to respond to your enquiry within 48 hours. Clients are reminded that if you do not wish for your e-mail to be kept on the system then please state so.